Selling a car can be a daughnting process that can be costly, take up a lot of time and has quite a few risks involved. Carsonline eliminates all the stress, hassle and wasted time by dealing with the complete sale of your car. From preparing, advertising, dealing with enquiries, negotiating with potential buyers and finally payment so you can sit back and relax whilst we do all the hard work. 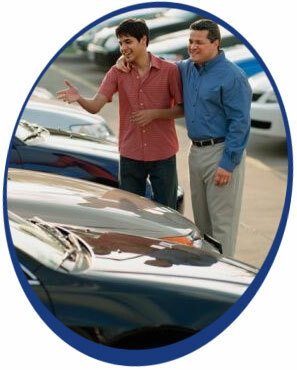 In many cases we are also able to achieve up to 20% more than dealer cash offers and trade-in prices. Professional and Honest advice. One of the most common mistakes people make when trying to sell a vehicle is over pricing or in some cases even under pricing. We will advise you on an accurate selling price and the best method of sale (Traditional eBay auction sale or a Classified listing) in order to achieve a quick sale but not at the expense of your pocket. Experian car data check worth £39.99. All the vehicles we sell come complete with an experian car data check. This is used to check if the vehicle is registered as being stolen, has outstanding finance, has been written off or has had a registration transfer. Optional repair service. We can arrange for any preparation work that you may decide to have carried out before selling your vehicle in order to increase its chances or a successful sale. Photography. We can take up to 40 images of both the inside of the car, outside as well as items such as keys and V5 (log book). In some cases we may also choose to include video footage. Preparation Viewer. Any preparation work that is required for the vehicle to be in A1 condition is accurately shown via our preparation viewer. Close up hi-resolution images are provided of any scratches, dents, chips or marks - both inside and out. Sophisticated auction listings. All our auction listings are created via html and incorporate some of the latest web "know how" to make sure your vehicle stands out and is advertised to its very best. Enquiries We will deal with all enquiries, negotiate and arrange any potential viewings and test drives Mon - Sat. Finance. We offer some great finance packages that can be arrange quickly and conveniently at our offices for any potential buyers. Warranty. To give that extra peace of mind to the buyer we offer warranty products from 3months - Life time of ownership. Delivery. Delivery is available throughout mainland UK at very competitive rates to make buying even easier.